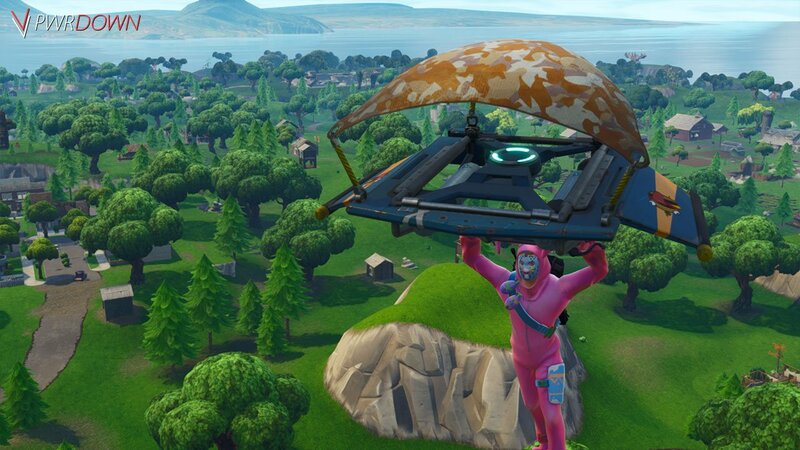 The Founders Glider is probably one of the ugliest gliders there is, however it’s one of the more rare ones. It comes in both a glider and umbrella form, and consists of a brown camouflage. You can only unlock this glider by becoming a ‘Founder’ of Fortnites PvE game called Save the World. 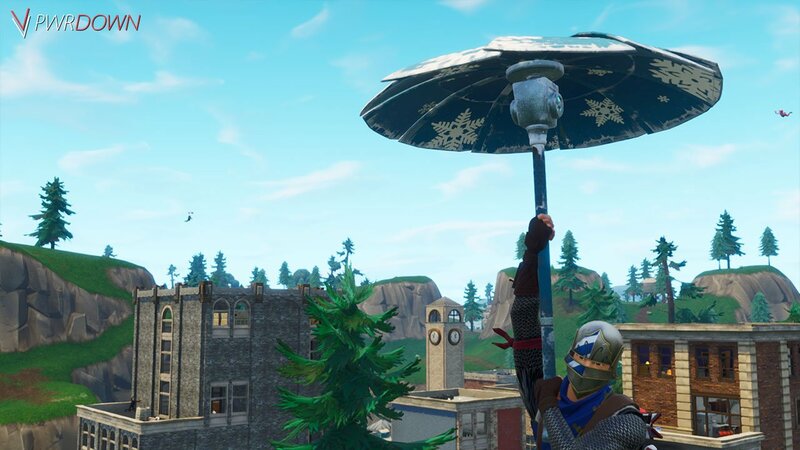 Paper Parasol is actually an umbrella, not a glider. It still deserves a place in this list however. 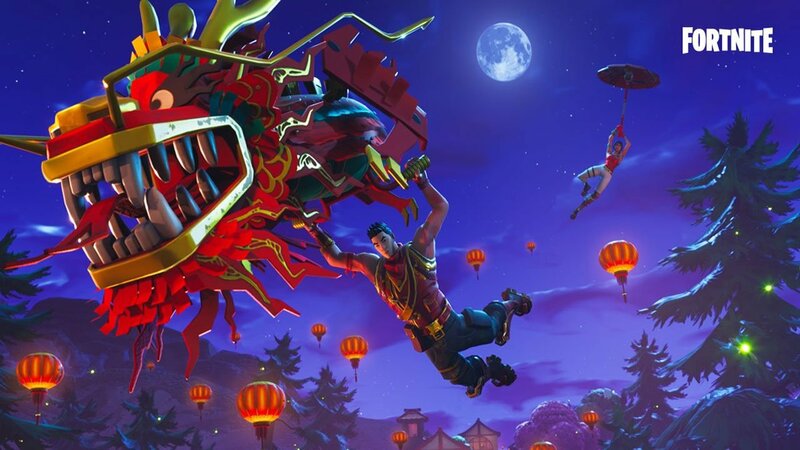 Released for free during the Chinese New Year event in 2018, players could earn this glider by winning a competitive match in either Solos, Duos or Squads. Not many iterations of the umbrella currently exist, so this will be rare in the future to say the least. Another umbrella that has it’s own skin is ‘Snowflake’. Like the Paper Parasol, this glider was given for free as a reward for winning a game during Christmas 2017. Again, it’s unlikely we’ll see this umbrella return as for Christmas 2018, we will quite likely see a whole new design. After reaching Tier 15 of the Battle Pass during Season 3, you unlock the Rainbow Rider.It’s one of the best designs for the default glider, as it comes with different particles and effects. 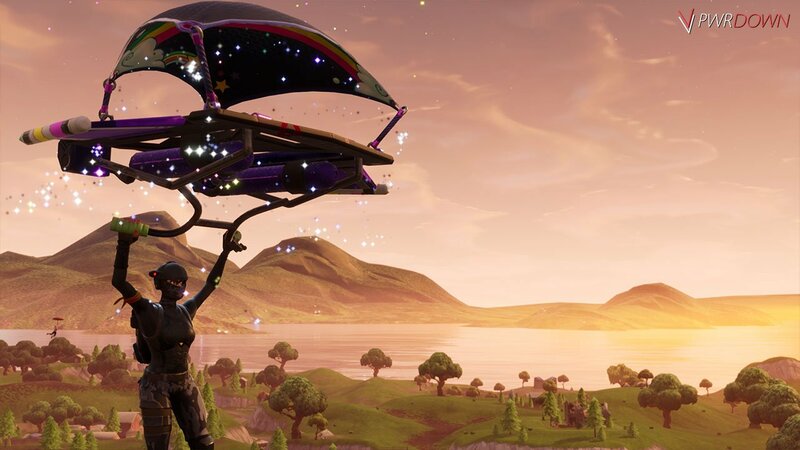 After deploying, a trail of rainbows follows your glider whilst sparkles explode outwards from the glider after deploying. It goes great with many colourful skins in-game. 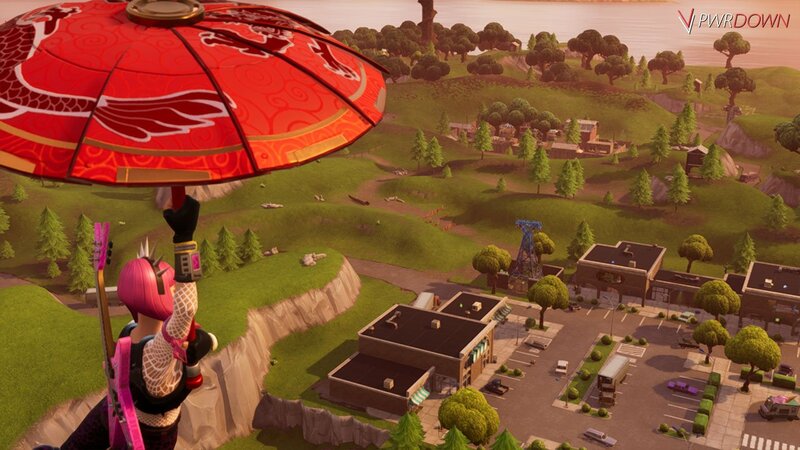 It’s likely that after Season 3, you can’t unlock this glider again. There was a lot of hype surrounding the Raven Skin when it first came out. Along with it came a glider which has matching wings and lets off a black smoke as you descend. Whilst it’s a great combination, I personally am not a massive fan of the Raven Skin. This skin and glider came out in Season 3 during April 2018, with the glider costing 800 VBucks at the time of its release. Read on with caution, as this paragraph may contain spoilers regarding the Season 3 Battle Pass! After hitting Tier 100 of your Battle Pass, you will actually unlock this glider along with the main John Wick skin. It’s not shown in the Battle Pass rewards list, as it’s a ‘secret reward’. This glider is great, as the back of it is very similar to Wicks Mustang in the movie with the 3 lights. 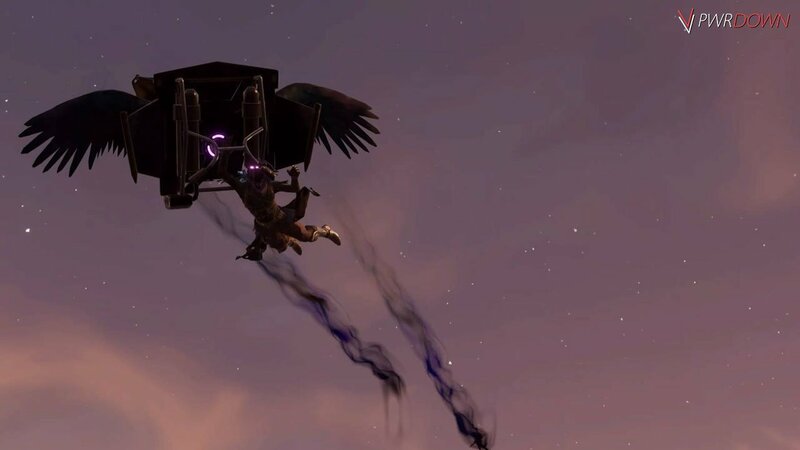 It’s assumed that this glider won’t be obtainable after the end of Season 3. 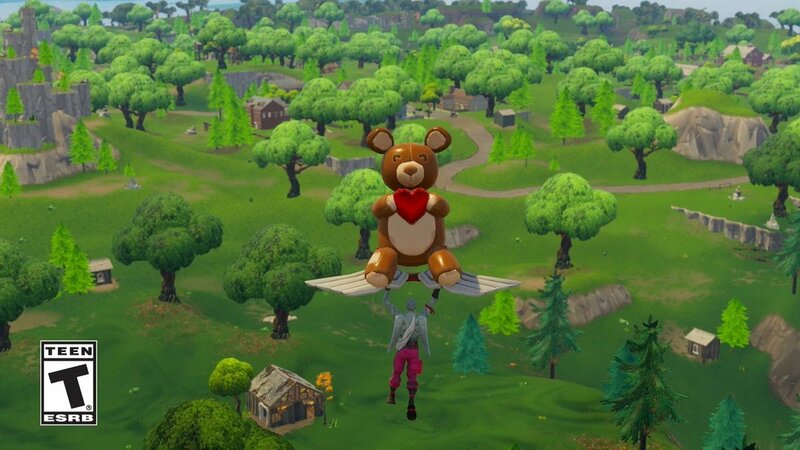 The Bear Force One glider is a giant inflatable bear, released during the 2018 Valentines Day event for 1200 VBucks. It’s likely it won’t make its way back into the store until next year. It’s probably the cutest glider to exist, and one of the first examples of a glider not sticking to the default shape. It’s only downfall is the lack of special effects that some other gliders offer. 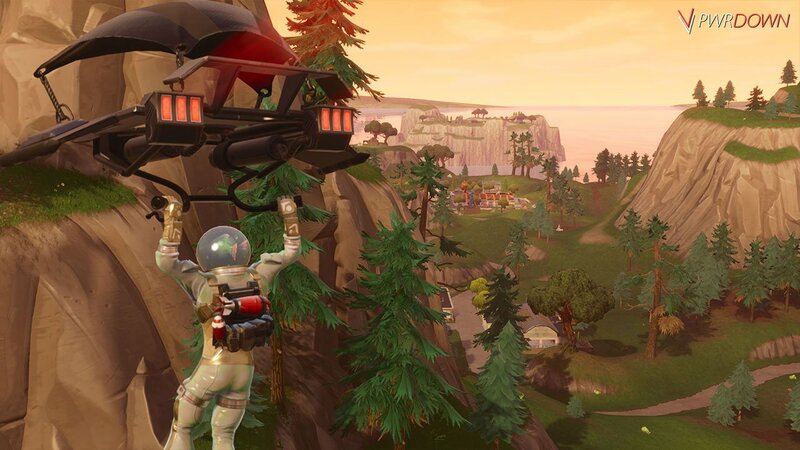 The Deep Space Lander glider was added during Season 3, and released around the beginning of April. 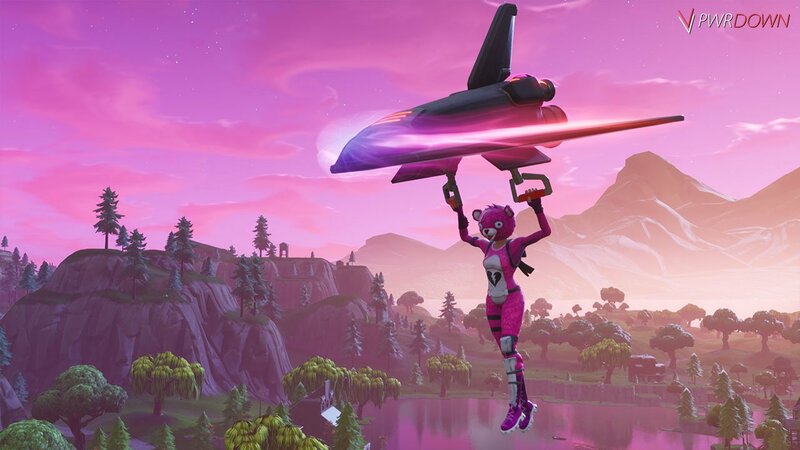 In my opinion, it’s one of Epic’s best gliders to be introduced to Fortnite, as it was the start of gliders that have special effects. When dropping at fast speeds, the Deep Space Lander gets a re-entry burn like on the image above, as well as moving flaps depending on if you’re moving up or down. This glider came in 2 colours, white and black and cost 1200 VBucks. 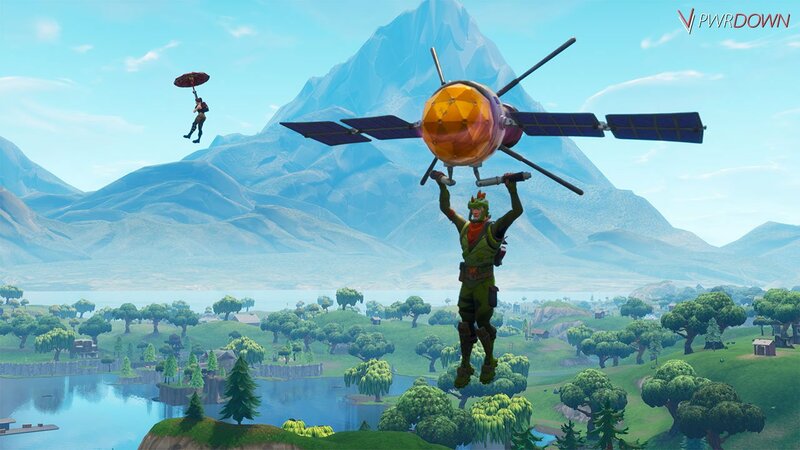 Again, to match the Space theme of Season 3’s Battle Pass, another glider added to Fortnite Battle Royale is the ‘Planetary Probe’. What’s great about this glider is its opening animation. Starting with the main probe, the solar panels extend outwards during landing in a cool fashion. Like the Deep Space Lander, this glider also has a re-entry burn when descending downwards. Planetary Probe was released mid April 2018 and cost 1200 VBucks in the item shop. The Royale Glider is probably Fortnites most advanced Glider yet. It was the first Legendary Glider to be released on the store, and cost a massive 2000 VBucks. Royale Glider is huge in size and has a great animation, with it swaying side to side. I haven’t actually found someone using it in game to take a screenshot, so have resorted to the promotional image above. It was released during the Chinese New Year event, so it’s likely we won’t see it again anytime soon.